Sorting through one of my old dresser drawers, I found an old Ring Magazine from 2007. Before tossing it in the trash (I try not to be a packrat), I noticed it happened to be the issue from exactly five years about this month, September 2007. Moreover, I noticed it included the 2007 All Star Report Card, an article intended to grade the very elite of the sport and forecast where their careers might be headed. I thought it’d be interesting to have a look at who those folks were then versus whom they turned out to be. The report card for 2007 was written by Gavin Evans. He notes the list was “compiled according to talent, achievement, marketability, support system and growth potential” of the boxers. A total of twenty fighters made the list. 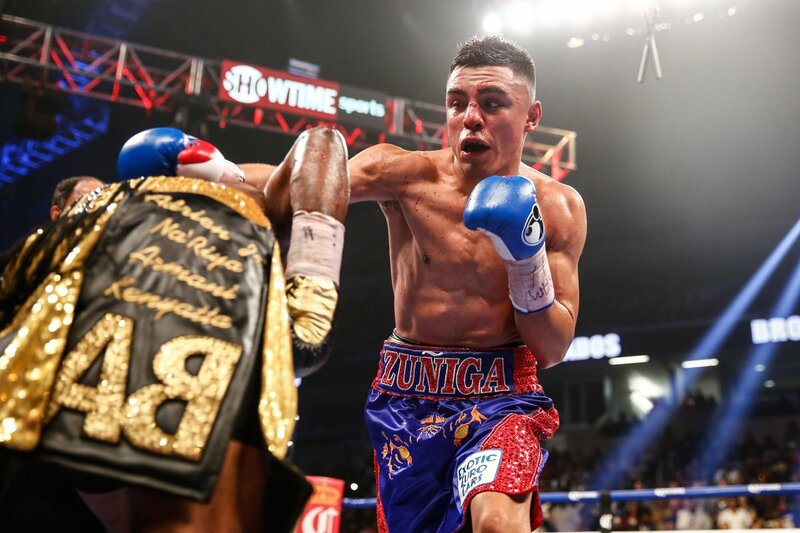 Notable absences are two historically excellent fighters who were ranked in the magazine’s top ten pound-for-pound list at the time, Marco Antonio Barrera and Winky Wright. Part one of this TSS special will focus on the first ten fighters listed in piece, starting at the top with the heavyweights and moving on down. Interestingly enough, there were three heavyweights listed in the report (and only one of them was a Klitschko). Despite being dropped a total of eleven times in his three losses, Wladimir Klitschko is noted as rating “several levels above his rival titleholders.” Evans goes on to note a likely bright future for the then 31-year-old IBF titleholder, calling him a “clean liver” who should “press hard for a unification bout” so that he can consolidate his status as the best heavyweight in the world. Of course, Klitschko did just that and still holds all major title belts in the division, save the WBC belt his elder brother, Vitali, wears around his waist. Overall, the younger Klitschko has established himself as one of the most dominant heavyweight champions of all-time. He’s won sixteen bouts in a row since his 2004 loss to Lamon Brewster, which he avenged, and he has defended some version of the heavyweight crown in his last twelve of them. Former heavyweight titleholder Sam Peter was apparently at his peak in 2007. 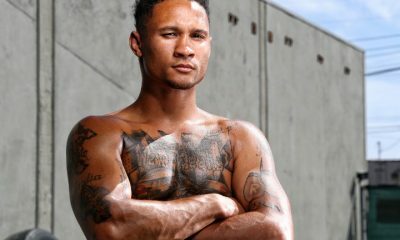 Not only is he actually listed in article as an elite, but he’s praised as a “fitter and faster” fighter who had become a “far more rounded boxer” in his rematch win against James Toney. Evans notes Peters brief amateur career being offset by his tremendous power, and that “there could be a good deal more to come, provided he doesn’t revert to the lackadaisical training approach of his past.” The highlight of Peter’s career came soon after the article was published when he defeated Oleg Maskaev in 2008 to win the WBC heavyweight title. Later that year, Vitali Klitschko came back from a four year hiatus to dominate Peter for the belt in just eight rounds. He was never the same fighter after, whether it was from a lackadaisical training regimen or overall talent issue. Ruslan Chagaev made the cut as well. Evans notes Chagaev as a “hard-hitting, well-schooled box-fighter of considerable potential”. The WBA titleholder at the time, Chagaev was undefeated, his one blemish being a disputed technical draw early in his career to Rob Calloway. Chagaev was struggling to make a name for himself with U.S. fight fans in 2007 and never really seemed to do be successful with it after either. He remained an unknown quantity stateside as his career progressed, but he did secure a heavyweight title unification bout with Wladimir Klitschko in 2009 to re-establish the perhaps-then-more-important Ring Magazine heavyweight champion, which hadn’t been crowned since big brother Vitali had momentarily paused his career in 2004. The bout was streamed online via ESPN during the day and probably should have been a bigger draw than it turned out to be, but Chagaev proved no match for Klitschko anyway. 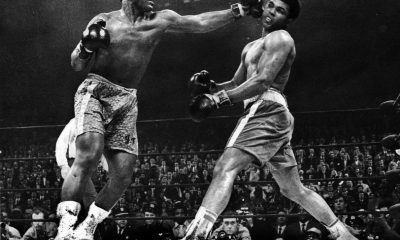 He was knocked out in round number nine in a largely one-sided affair. To his credit, Chagaev is still active and successful, his only other loss coming against undefeated slugger Alexander Povetkin via decision. He is perhaps most notable for his nickname, “The White Tyson” as well as his burly chest hair, a rarity in the sport these modern days. Light heavyweight Bernard Hopkins was an old fighter then, too. Hopkins was 42 at the time, and readers were warned to not be surprised “if he presses on.” He has, of course, done just that, likely far longer than anyone at Ring Magazine foresaw at the time. In 2007, Hopkins had just moved up to light heavyweight to defeat Antonio Tarver in what was then his most shocking victory to date. 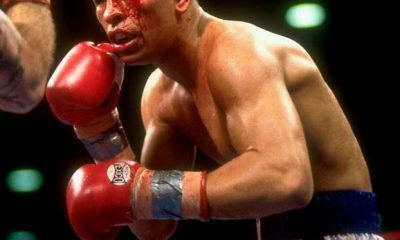 Fans were looking forward to his pending showdown with fellow pound-for-pound elite Winky Wright, who Hopkins would go on to defeat later in the year. Evans notes “The Executioner was once a rugged, dirty brawler, but gradually transformed himself into a safety-first, dirty, boxer who paces himself carefully and boxes defensively.” Hopkins used that style, along with his “phenomenal conditioning” to solidify his status as one of the best fighters of the era. He upset Kelly Pavlik, bested rival Roy Jones, Jr. in a long awaited rematch, and in 2011, at age 46, scored an impressive victory over Jean Pascal to earn the distinction of being the oldest boxer to ever win a world title. Amazingly enough, Hopkins is still active and looking for another big fight after his most recent setback, a decision loss to light heavyweight champion Chad Dawson. People were wondering what to do with super middleweight champ Joe Calzaghe in 2007. The Welshman was “unbeaten but untested at the truly elite level”. Sure, he had thrashed up-and-comer Jeff Lacy, but fight fans and boxing media wanted to see him tangle with the very best. Calzaghe would only fight three more times in his career, but they were just the fights he needed to cap his undefeated career as a true elite. Calzaghe used his cache of “blistering speed, dazzling combination punching, along with superior timing” to best fellow notables Mikkel Kessler, Bernard Hopkins and Roy Jones, Jr. Calzaghe retired in 2008 without a blemish on his pristine record and a legitimate claim to being one of the best 168lbers ever. Fellow European Mikkel Kessler was considered by some at the time to be “the number one boxer in continental Europe” in 2007. In fact, many thought Kessler was on his way to superstardom. After all, he was “strong, hard-hitting with both hands” and possessed “an extremely solid jab.” Kessler was given credit for taking the toughest challenges he could find. 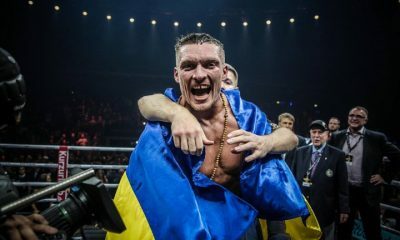 He defeated Anthony Mundine, Librado Andrade and Julio Cesar Green, and he was a huge draw in both his home country of Denmark as well as Germany. Evans called for Kessler to “secure a fight with Calzaghe then win it” to unleash his full potential as a boxing mega-draw. Kessler did half that, securing the fight that very same year but losing a unanimous decision. Still, Kessler has only lost to the very best fighters he’s faced thus far (Calzaghe and Andre Ward), and he is still an active and important fighter in the sport. In his last fight, Kessler moved up to light heavyweight (where some believe his future lies) to dominate Allan Green in just four rounds. The middleweight champion of the world at the time, Jermain Taylor, was identified as “one of those rare fighters whose reputation actually seemed to diminish after winning the world title”. 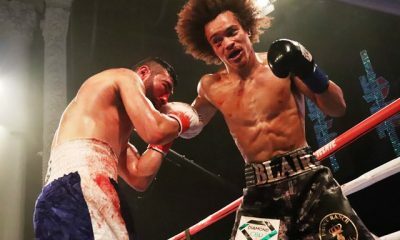 He had defended the title he won by close decision over Bernard Hopkins four times up to that point, but was noted for really needing “an exciting win over Kelly Pavlik to make the leap” to superstardom. He did engage in an exciting bout with Pavlik, but lost by TKO 7 and again by decision in the rematch. Since then, he’s lost to just about every notable fighter he’s faced, including knockout losses to Arthur Abraham and Carl Froch, the exception being a decision win against Jeff Lacy, who’s never quite regained form as a legit threat since his own fall from grace at the hands of Calzaghe. Taylor has suffered severe concussions over the past couple years, but still seems intent on making a career out of it, much to the chagrin of many in the sport. Perhaps no fighter was on the rise more at the time than middleweight Kelly Pavlik. He was “suddenly” one of the best and brightest stars in boxing. His workmanlike approach and heavy hands made him an almost overnight star in the sport, and he needed only a signature title win to solidify it. 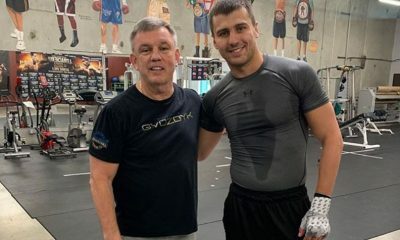 Evans notes Pavlik was “reasonably elusive when he wants and has sound boxing skills.” Fight fans were ready to see a fight against champion Jermain Taylor, and they’d get their wish soon. Pavlik won the middleweight crown against Taylor in 2007, defended it in a rematch in 2008 then took a showcase win against Gary Lockett to prepare for his superfight versus Bernard Hopkins. He was the prohibitive favorite in the catchweight bout, but he was soundly outclassed by Hopkins. 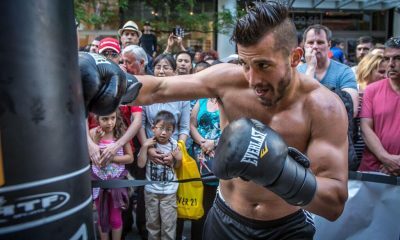 He went on to defend his middleweight crown twice before falling to Sergio Martinez in 2010 by hard-fought decision. Pavlik has struggled with alcohol addiction since and ended up checking himself into the Betty Ford clinic, not once, but twice. He fired long-time trainer Jack Loew and was in and out of the news for his erratic behavior. 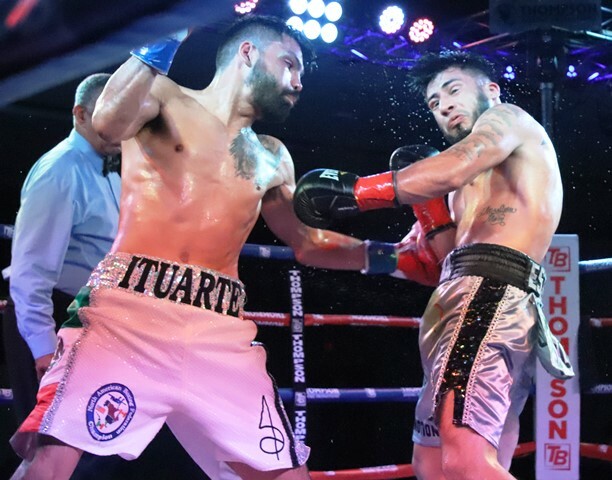 He’s rebounded nicely since he reportedly sobered up and now campaigns at 168lbs. Oscar De La Hoya was a fighter, not a promoter, in 2007. “The Golden Boy” had just come off a shockingly close split decision loss to Floyd Mayweather, Jr. in what was a fabulous effort in hindsight. 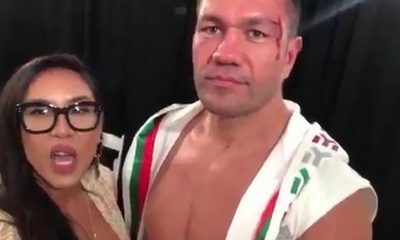 Even at age 35, Evans notes De La Hoya possessed “one of the best jabs and left hooks in the business” and that Oscar was a figure who “transcends boxing.” De La Hoya had a bounce back win over Steve Forbes before he was brutalized by Manny Pacquiao over eight rounds a year later in what turned out to be his final fight. He was quite the popular fighter while he was active, and he’s done a good job of parlaying his financial success into one of the top promotional units in the sport today. Unfortunately, his beef with one-time promoter Bob Arum has left fight fans yearning for fights that never seem to materialize, the chief among them being Mayweather vs. Pacquiao. Still, Oscar has left an indelible mark on the sport, and he continues to do so. No impact is perhaps more interestingly applicable to this TSS special, though, than his purchase and subsequent housecleaning of the beloved Ring Magazine, an issue that divides fight fans and boxing media members to this day. Finally, welterweight Floyd Mayweather, Jr. is listed as the “world’s number one pound-for-pound” boxer in 2007, a distinction he is still afforded by many. Evans notes Mayweather’s “multi-layered defensive skills, impeccable timing, the ability to fight as well on the inside, at middle range and long range, plus wonderfully accurate counterpunching skills.” Mayweather’s popularity skyrocketed after his 2007 defeat of De La Hoya, and he has remained undefeated ever since, over an impressive group of competitors which includes elite fighters Ricky Hatton, Juan Manuel Marquez, Shane Mosley and Miguel Cotto. For some, Mayweather’s legacy remains incomplete unless he faces fellow all-time great Manny Pacquiao before he retires. 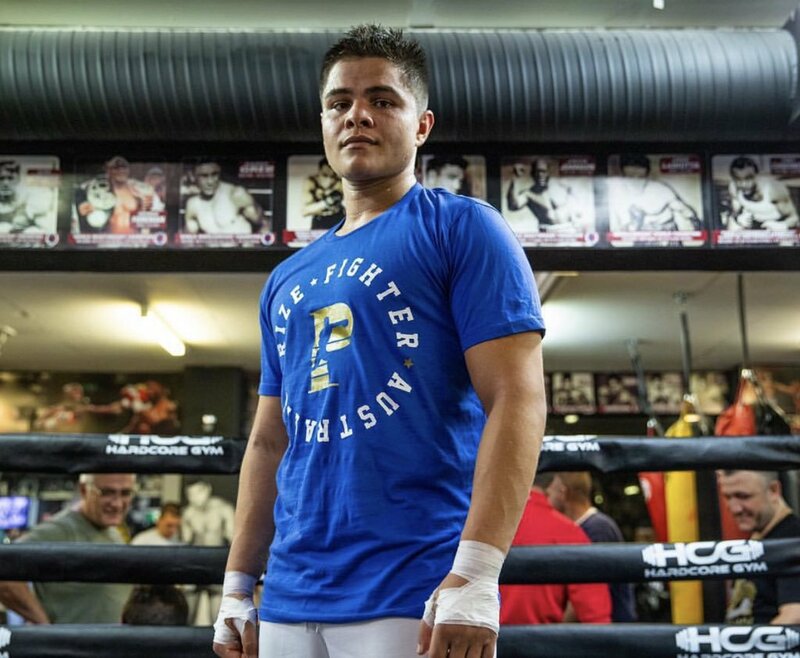 Both fighters seem reluctant to take the risk, though, and the cold war between Golden Boy and Top Rank isn’t doing anything to help matters. Nonetheless, Mayweather will go down in history as one of the most impressive fighters of his era. Next week, we’ll have a look at the other ten fighters who made the list, including Shane Mosley, Manny Pacquiao and Juan Manual Marquez. You can email Kelsey McCarson at theboxingstop@yahoo.com, or follow him on twitter @TheRealKelseyMc. 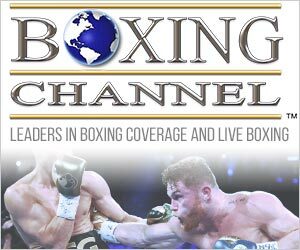 THE BREAKDOWN: Sergio Martinez-Julio Cesar Chavez Jr.